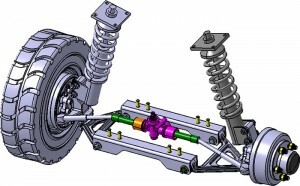 TRANSAXLES and FRONT SUSPENSION UP TO 2.000 KG. 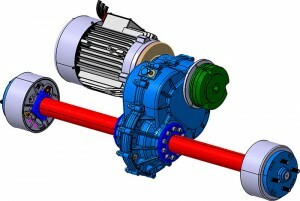 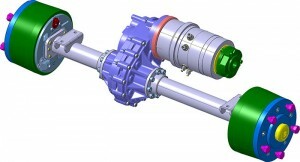 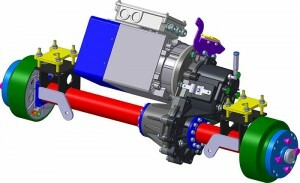 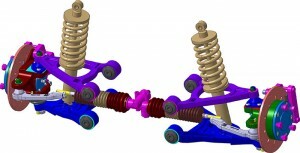 The Transaxles are drive axles with integrated differentials. 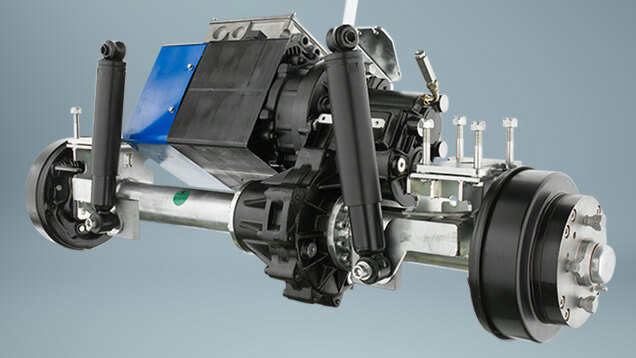 They can be operated through an electric or hydraulic motor. 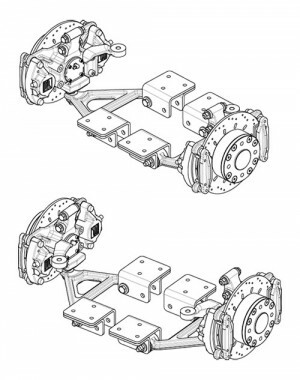 They are available with several reduction ratios and can be equipped with drum or disc brakes. 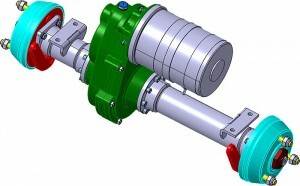 It is possible to execute customized versions by intervening, for example, on the width, the type of attachment and the bore of the hubs, based on the type of wheel you want to mount. 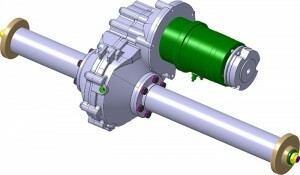 Particular geometries in the profile of the gears and special surface treatments confer great quiet and smooth operation.